Karamjit Singh focuses his thoughts on the startup scene, which welcomed Singapore’s billionaire investor Peter Lim, Cradle’s overdue seed fund, a look at how the venture industry in Malaysia did in 2014 and a few new details from Singapore’s Infocomm Media Masterplan. 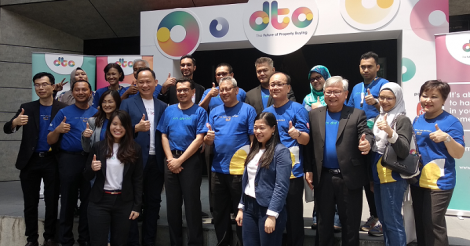 DNA also kicked off its Telco Deep Dive 2015. Peter Lim, the Singaporean billionaire owner of the Valencia football club, has taken a 20% interest in the property portal recently launched by Kuala Lumpur-based The Edge Media Group, for an undisclosed sum. The property portal space in Malaysia is certainly heating up, with The Edge Media Group announcing it launched theedgeproperty.com, a free property portal with proprietary news, research, data, analytics and tools, on May 7. The Heat, a weekly newsmagazine from the HCK Media stable, is being pulled off the streets and will remain only as a digital and online publication; its stablemate, the fornightly Big Issue digital magazine will be closed, journalists say.